ecoTub Solutions can refinish virtually any surfaces in your bathroom, kitchen, and beyond! Our professional restoration services, low-VOC coating systems, and Stone-Flecks™ application services are perfect for any surfaces made of stone, ceramic tile, porcelain tile, marble, cultured marble, terrazzo, corian, fiberglass, formica, laminates, and smooth concrete. Replacing an entire bathtub or shower enclosure can cost up to 5 times more than refinishing. Refurbishing what is already in place can save you as much as 70% over the cost of replacement. 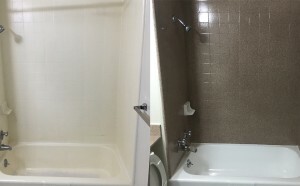 Bathtubs, sinks, countertops, vanities, kitchen backsplashes, shower pans, tub and shower surrounds, walls, and even stone or tile floors can look brand new again! We can give your ceramic wall tile the look and feel of solid stone, refinish cultured marble tops, or seal your walls against damage from moisture. 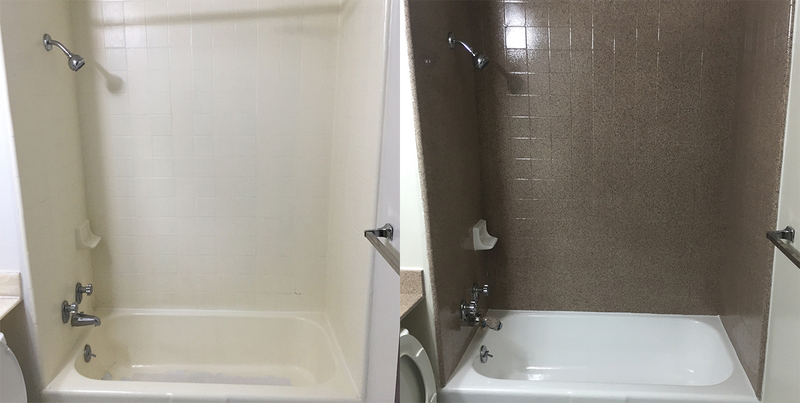 With Stone-Flecks™, we can quickly and inexpensively upgrade your surfaces with a clean and modern look in just a matter of hours. 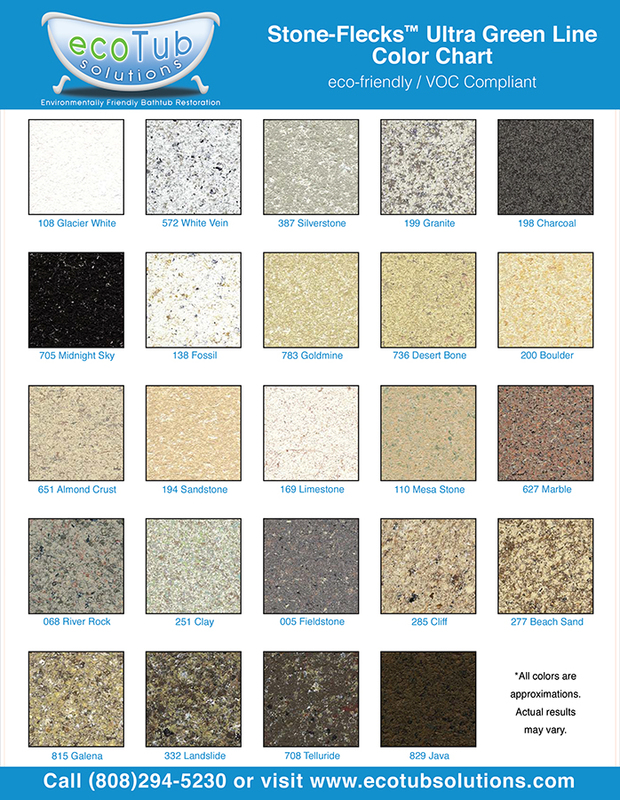 These high performance coatings use resin layer technology combined with special additives to duplicate the durability, visual impact, and scuff resistance of real stone – offering the best long term protection for the refinishing of countertops and other surfaces. 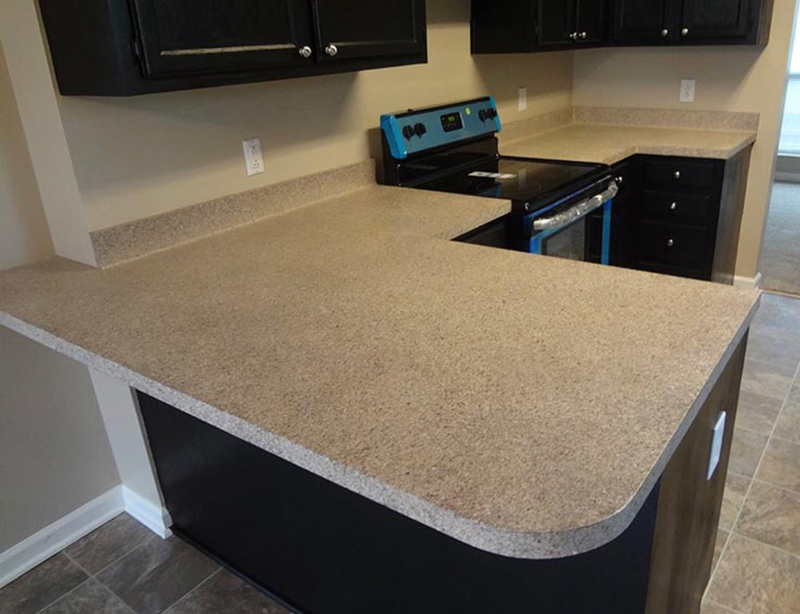 Stone-Flecks™ is an acrylic polymer based coating system that produces the stone or granite-like finish so popular in today’s kitchens and bathrooms. This innovative coating system ensures an evenly dispersed color pattern and offers a choice of multi-color finishes. 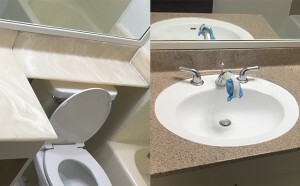 We can make your surfaces look like the more expensive versions and still maintain durability, color fastness, stain resistance, and flexibility. We promote the environmentally friendly option of refurbishing existing features rather than replacing them. Hotels, multi-family properties, and remodeling contractors seek out these solutions to restore and compliment their properties economically and sustainably. Residential or Commercial, we guarantee all of our work. Our professional crew is ready to help. Contact us today to learn more and to schedule a time for a free estimate! Stone-Flecks™ allows for a full range of options for upgrading all kinds of surfaces at an economical price. All colors shown in this chart are colors designed to coordinate and compliment the latest and most popular kitchen and bathroom designs. Colors are available in a natural, matte, semi-gloss, or full gloss finish – depending on the type of clearcoat selected and the actual surface being refinished. 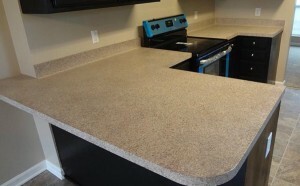 Stone-Flecks™ truly delivers abrasion and stain resistance, superior durability, lasting color, and flexibility.